[ ALERT: Obama’s Own Scientist Runs Cold on Warming – Outs Himself as a Skeptic! 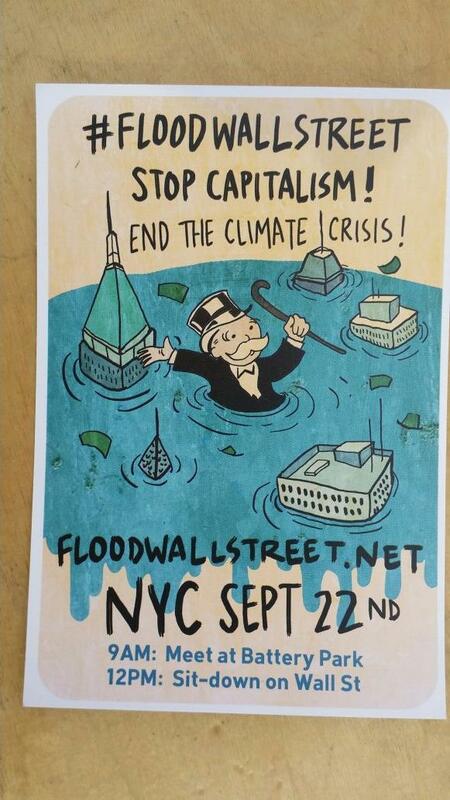 New York City – Socialism was praised and promoted to raucous applause by the hundreds in attendance at the People’s Climate March event on September 20, featuring organizer Bill McKibben, author Naomi Klein, socialist Seattle City Council member Kshama Sawant and socialist Senator Bernie Sanders of Vermont. Update: Full Video of event available here. 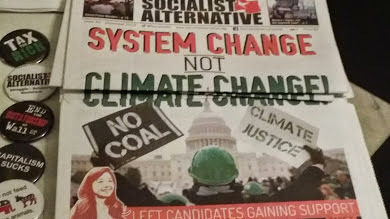 The event, held at the Unitarian Church of All Souls, was titled “THE CLIMATE CRISIS: WHICH WAY OUT.” The event was permeated with socialist literature with the Socialist Alternative newspaper prominently on display. Literature prevalent at the event. When Kshama Sawant, a socialist who won a seat on the Seattle City Council, noted she was the first socialist elected in decades, the church erupted in applause. “A socialist world that will deliver a high standard of living for all,” Sawant said to applause. Sawant ripped the current economic system: “The market is God, everything is being sacrificed on the altar of profits,” Sawant declared. “We must bring giant corporations into public ownership. You cannot control what you don’t own,” she added. 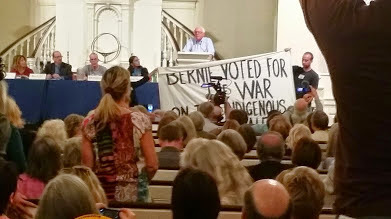 Climate marchers find Sen. Sanders too far to the right?! 350.org founder and march organizer McKibben called global warming the ‘greatest crisis.’ “This is the biggest problem that humans have ever been up against,” he declared. Following the panel, Climate Depot asked Klein if she would support all the same climate “solutions” even if the science was wrong. Klein also singled out Climate Depot’s Marc Morano during her panel presentation, noting that “climate deniers and Heartland Institute people like Marc Morano, who I am told is here tonight, they understand that if the science is true, if the science is right, then of course we have to break every rule in their idiotic playbook because it is at war with life on Earth. ” The audience roared with approval. “We are dealing with an existential terror,” she added. When Hillary Clinton’s name was mentioned during the event, loud boos erupted throughout the room. Author Chris Hedges was also on the panel. In an interview with Climate Depot, Hedges seemed to acknowledge the futility of governments trying to impact the climate. Climate Depot asked him what impact he expects UN treaties or EPA regulations to have on the climate and whether he things they are worth implementing. “It’s the difference between resisting for a slim chance of life and sort of passively accepting your own death. Why take it lying down? Lots of people have been in a situation where they realize their probably doomed. The climate science isn’t good,” Hedges explained.